Most often in your Java programs you will find a need to execute system DOS commands. 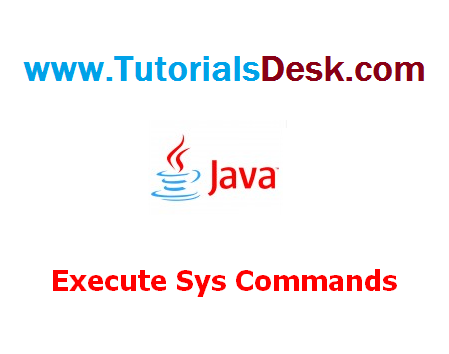 You can execute any system commands that are OS specific and then read the output of the system command from your Java program for further processing within the Java program. This sample Java Program executes the 'dir' command reads the output of the dir command prints the results. This is just for understanding the concept, however, you may execute just about any command using this Runtime.getRuntime().exec() command.